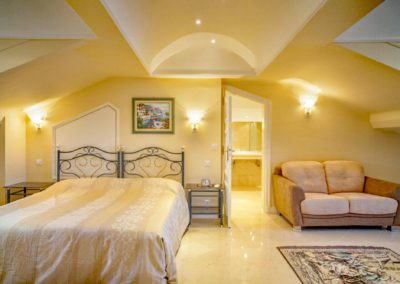 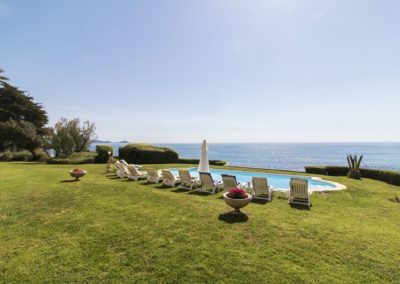 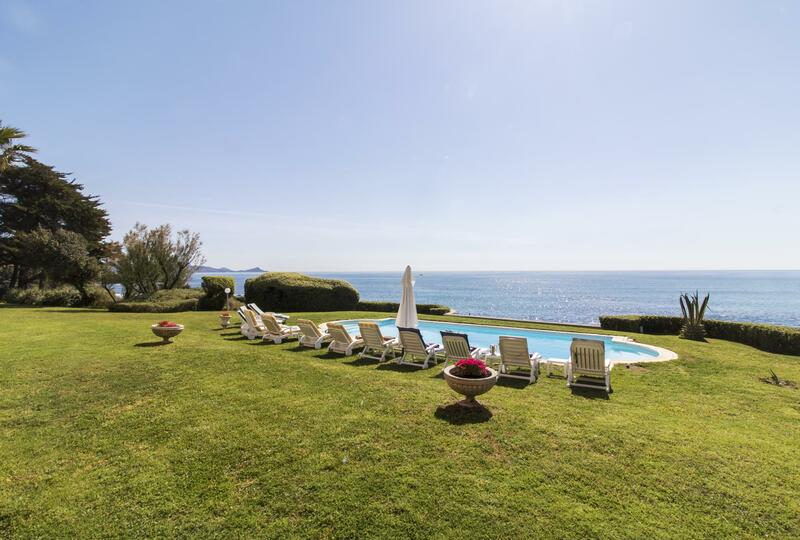 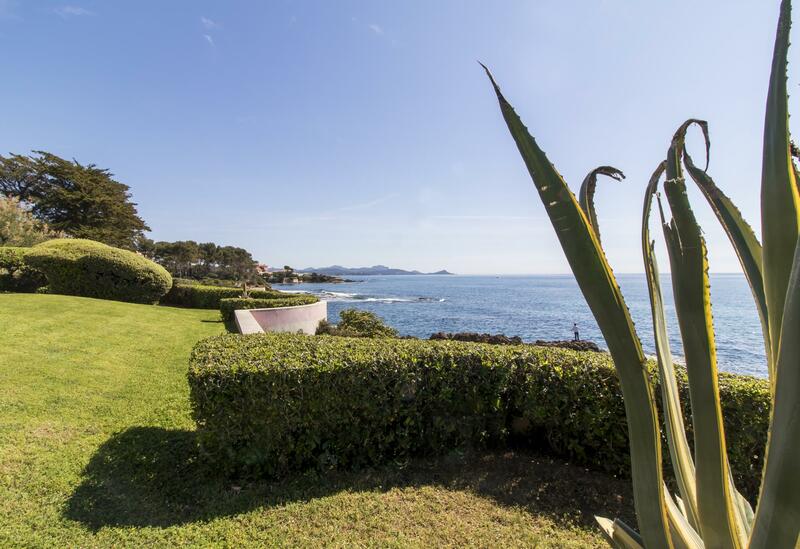 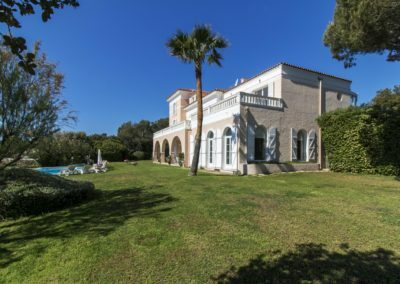 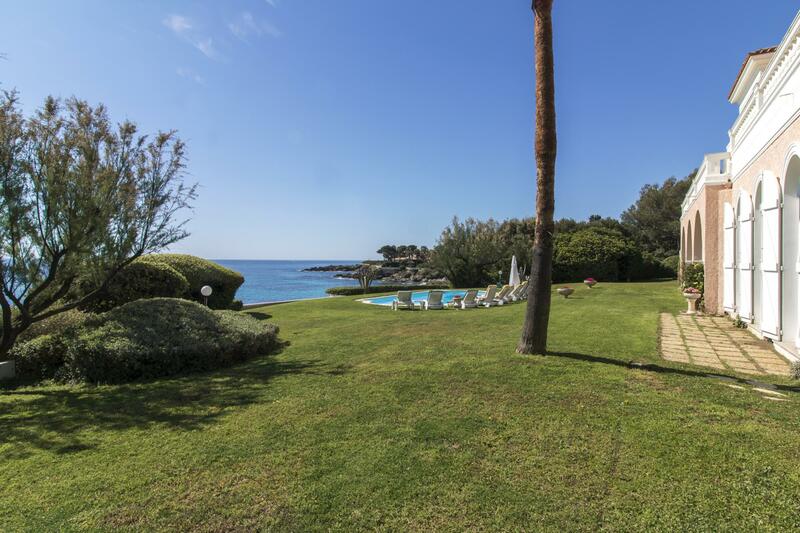 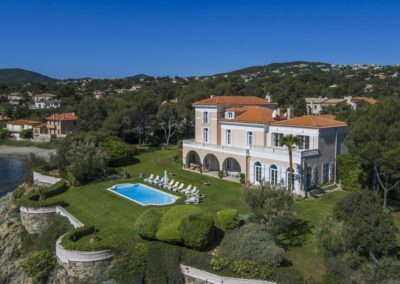 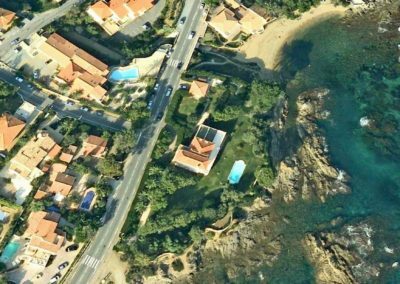 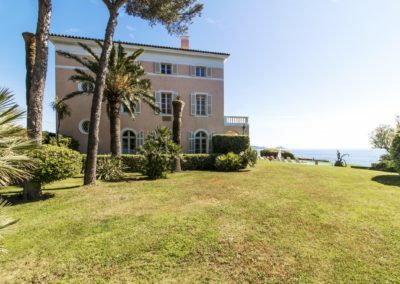 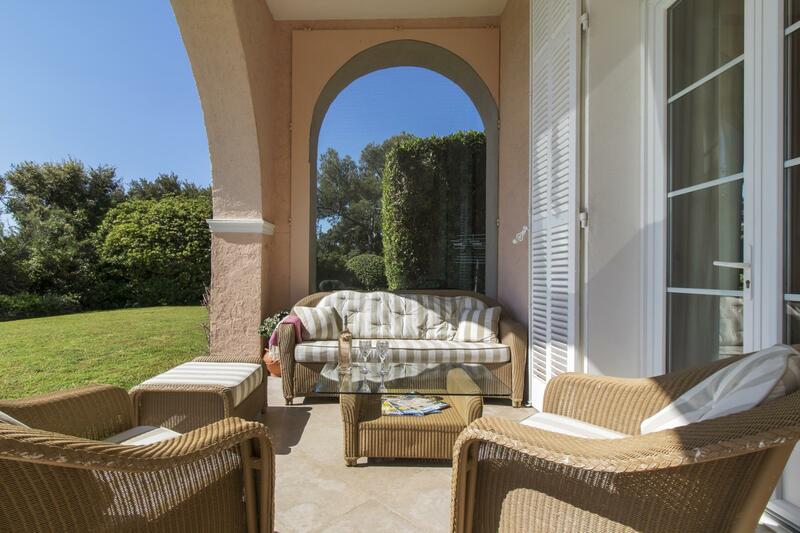 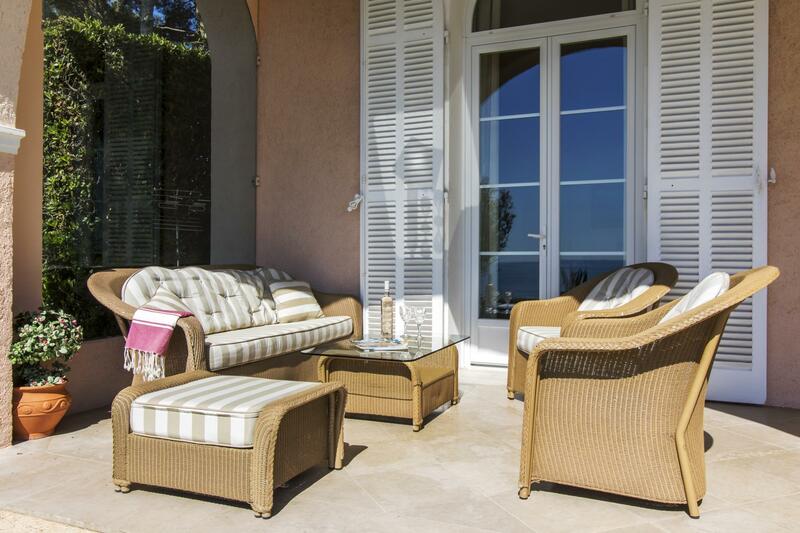 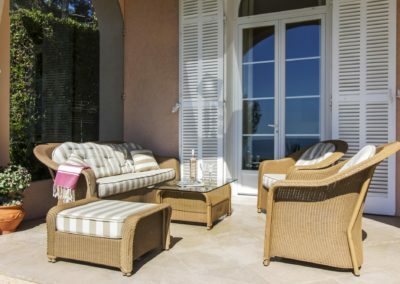 French Riviera beachfront villa with pool – Standing right on the beachfront overlooking the Mediterranean sea, this period villa with direct access to two beaches is within walking distance of St Aygulf’s shops and restaurants and a short drive from Ste Maxime and St Raphael. 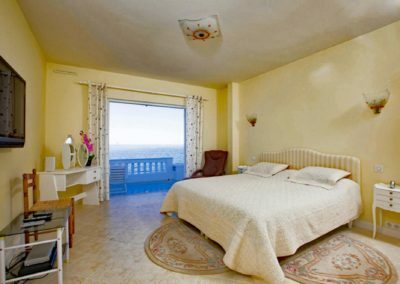 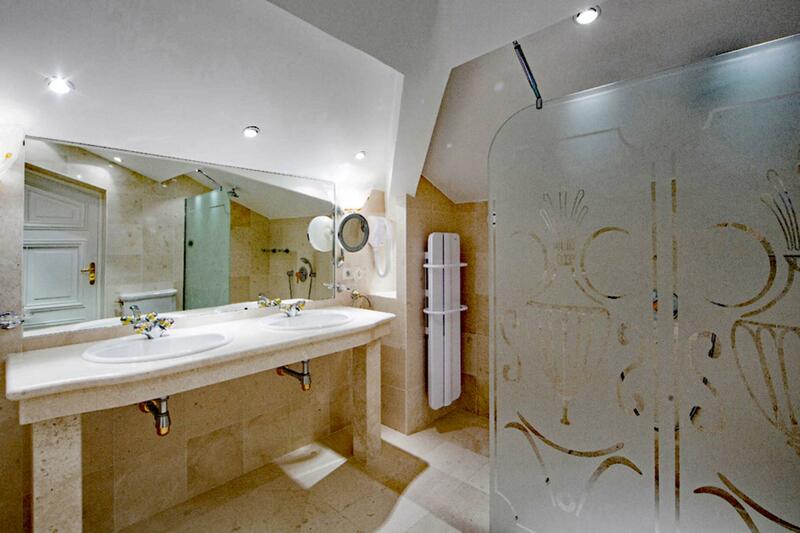 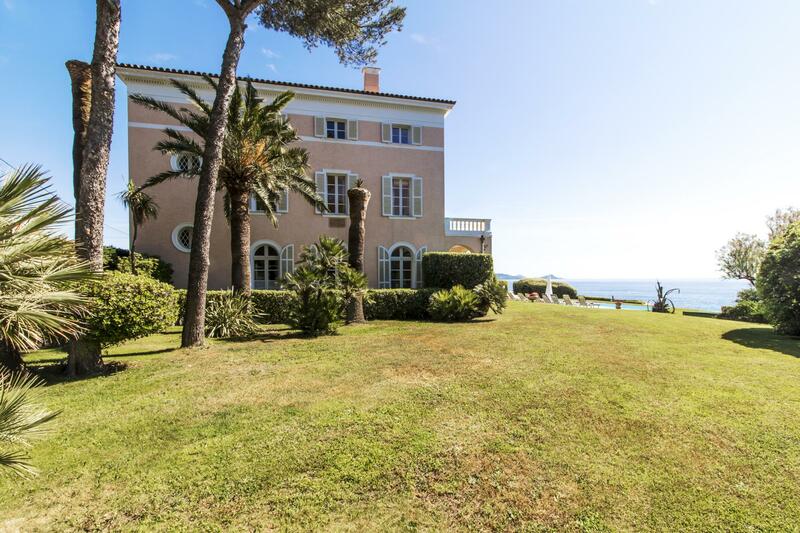 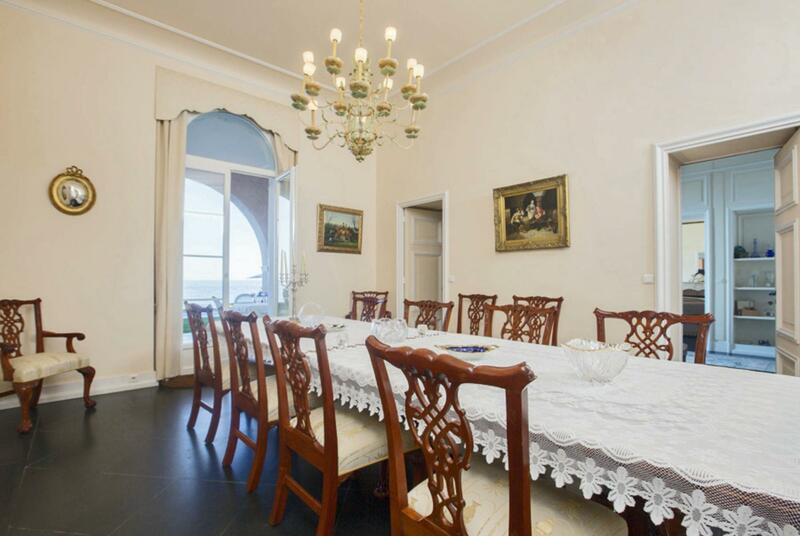 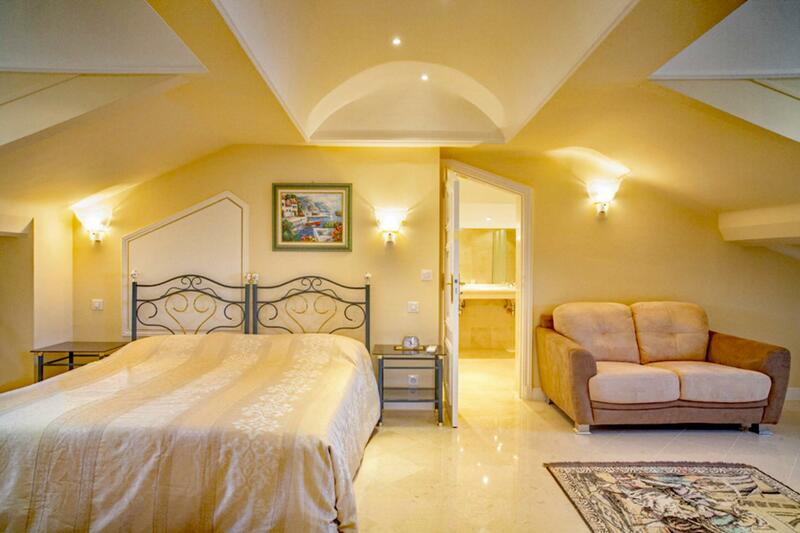 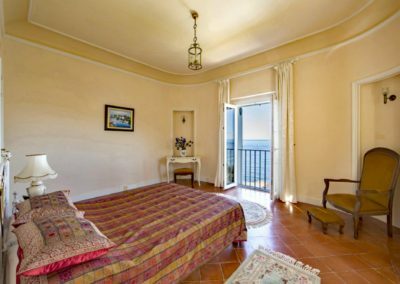 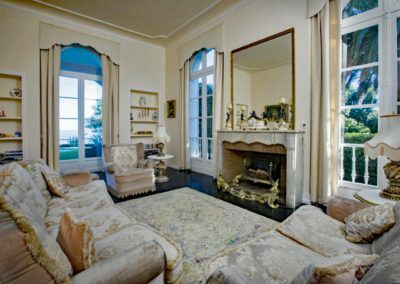 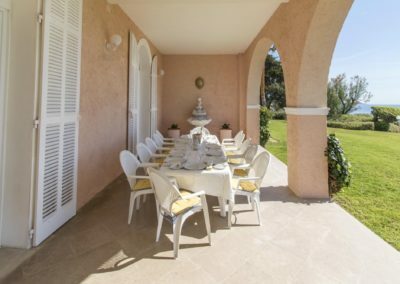 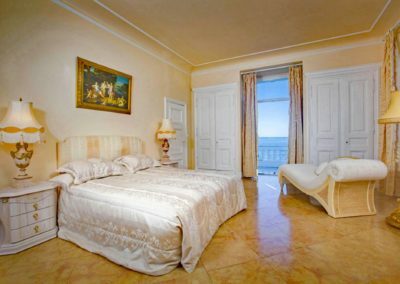 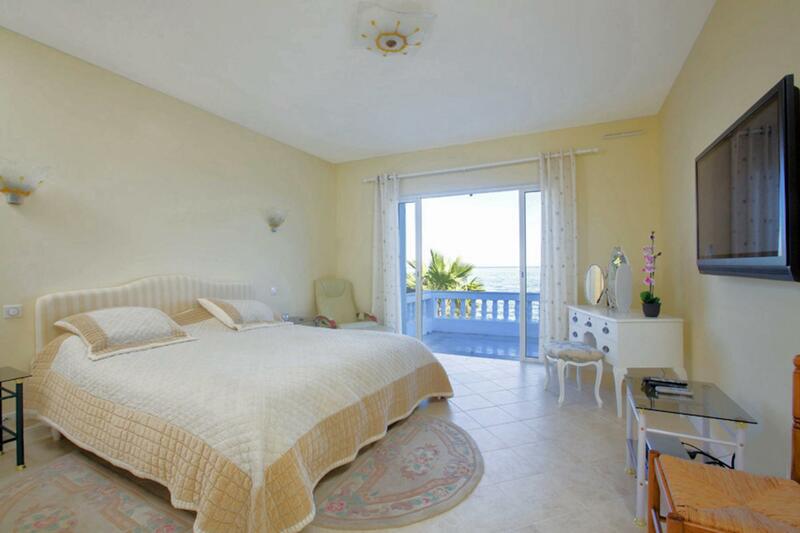 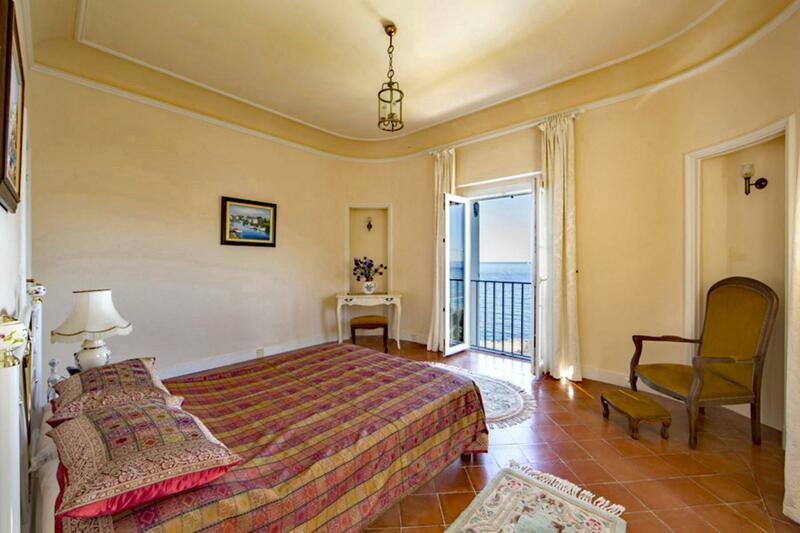 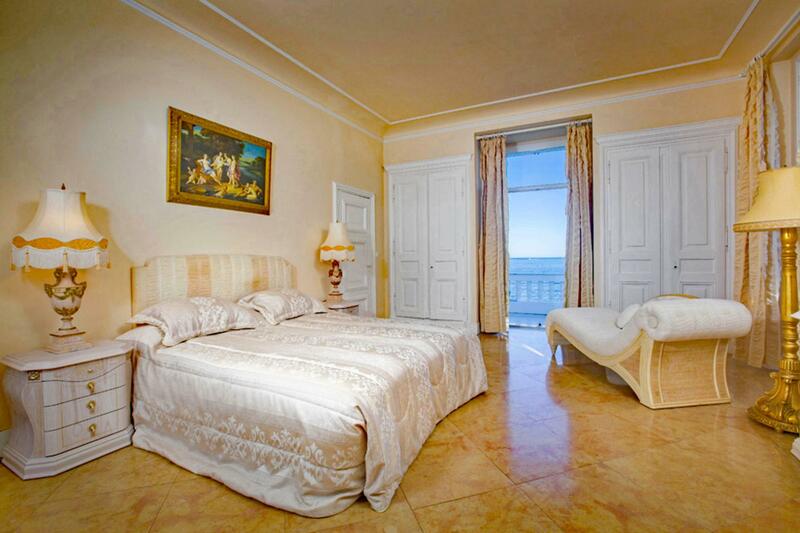 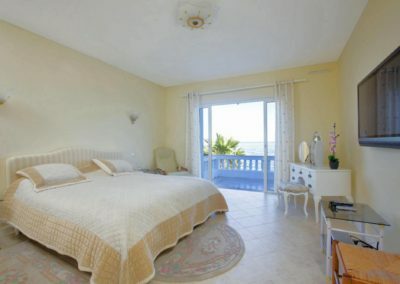 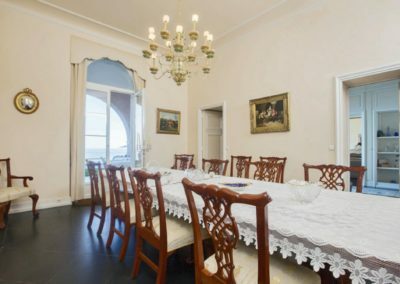 This is a classic, Belle Epoque seaside villa. 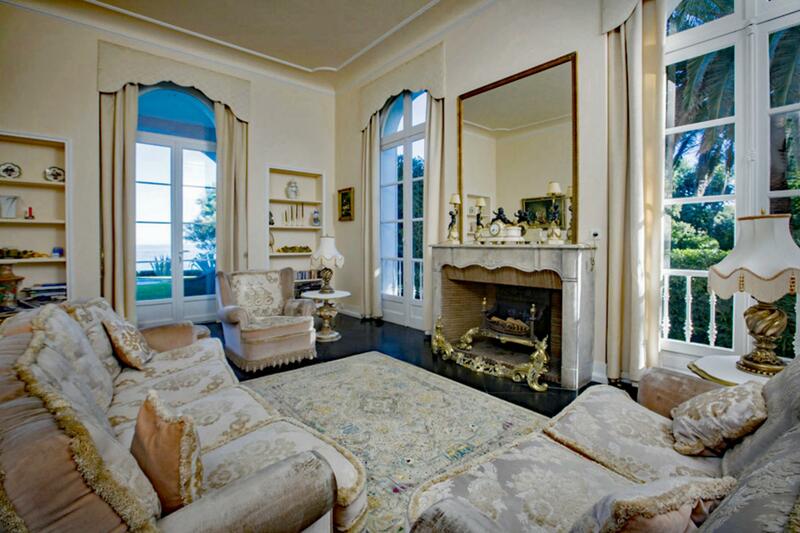 High ceilings, grand fireplaces, marble floors and ornate chandeliers hint at the elegance of a bygone era. 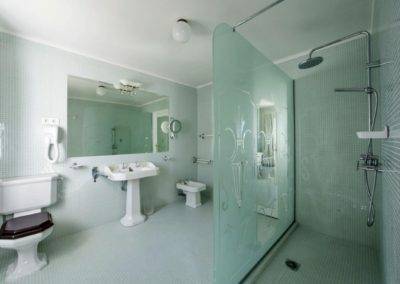 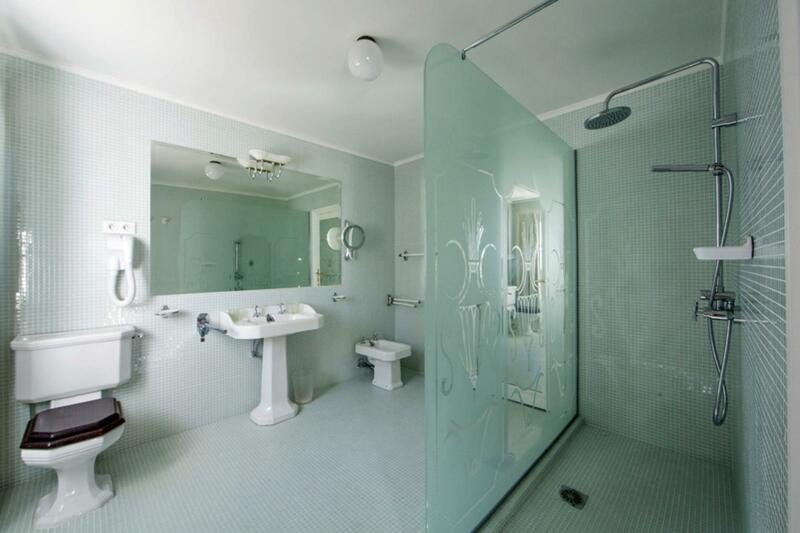 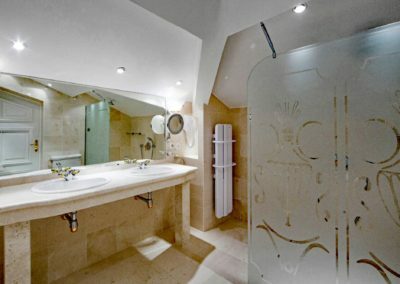 Air-conditioning and a sauna add a touch of modernity. 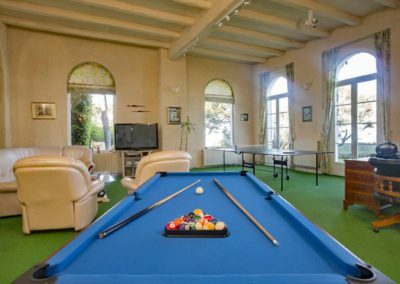 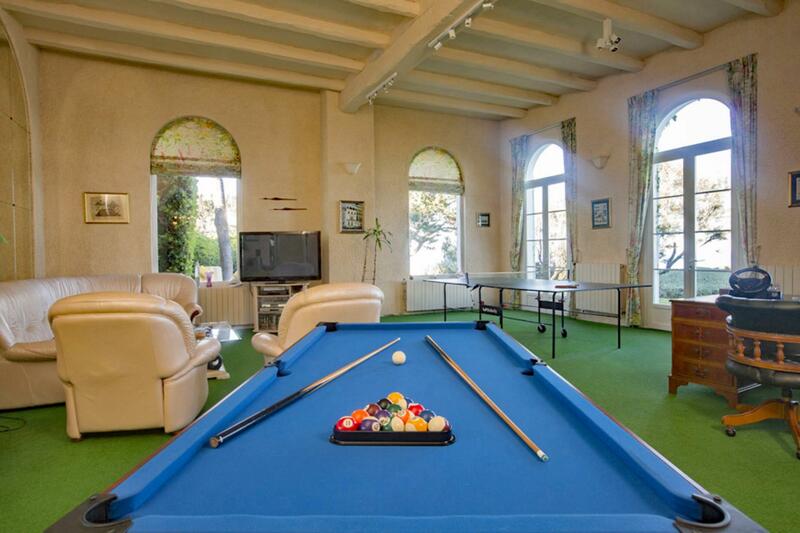 A games room provides space for kids to chill-out whilst the adults can enjoy the large south-facing terrace which extends the living space into the Mediterranean garden, offering a unique view point over this unspoilt stretch of coast encompassing calanques, rocky outcrops and sandy coves. 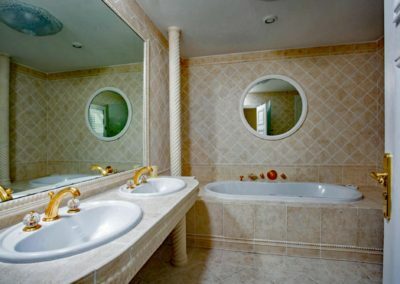 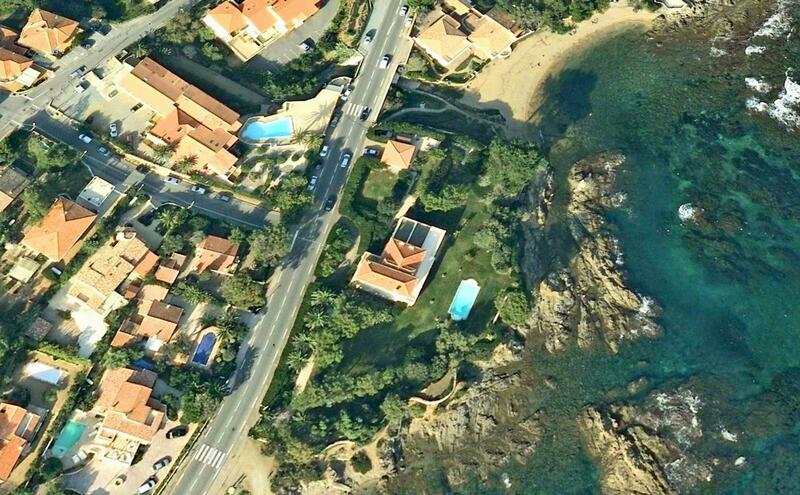 It really is all about the location at this villa! 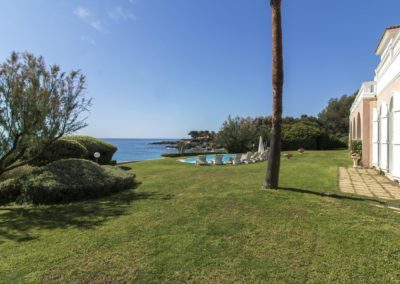 At either end of the garden, is a path with steps leading to two small beaches, whereas the longer sandy beaches St Aygulf are a 25 minute walk or 8 minute drive with ample parking and a choice of beach cafes. 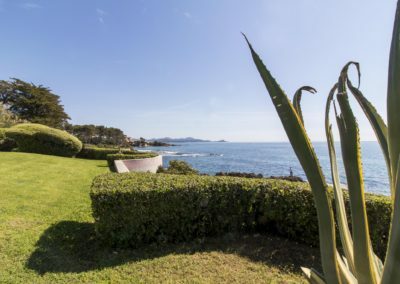 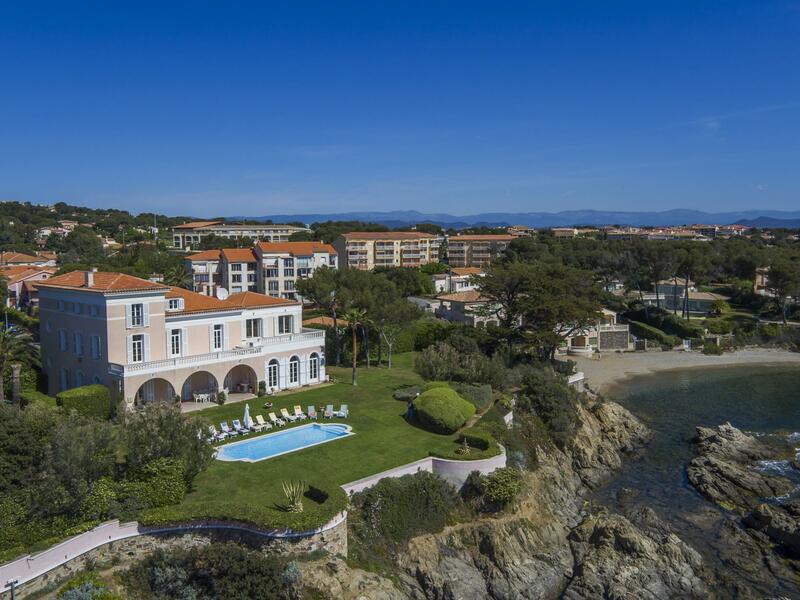 Equidistant from Frejus and St Raphael, Reve de Mer would make an excellent base to start your explorations along the French Riviera, either by ferry or by car following the coastal scenic route known as La Corniche. 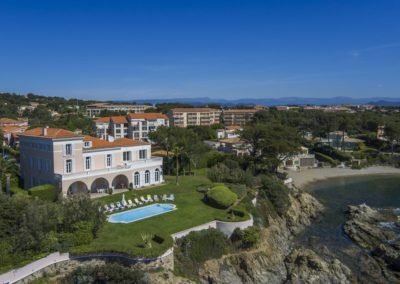 Whether you decide to head east towards Cannes, Nice and the Cote d’Azur or west towards Ste Maxime and Ste Tropez, you have the entire coastline within easy reach. 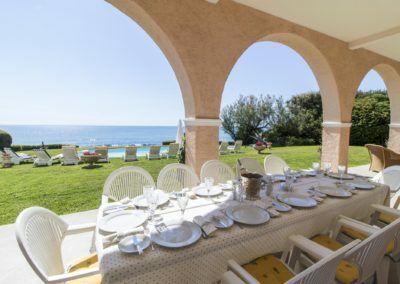 All along the coast are many seaside resorts and beaches offering a wide range of water sports and entertainment to suit everybody’s taste.